Description: Originally composed in 1525 and dedicated to Sultan Süleyman I (the Magnificent), this great work by Piri Reis (died circa 1555) on navigation was later revised and expanded. Born in about 1470 in Gelibolu (Gallipoli), Piri Reis became an Ottoman admiral, geographer, and cartographer. 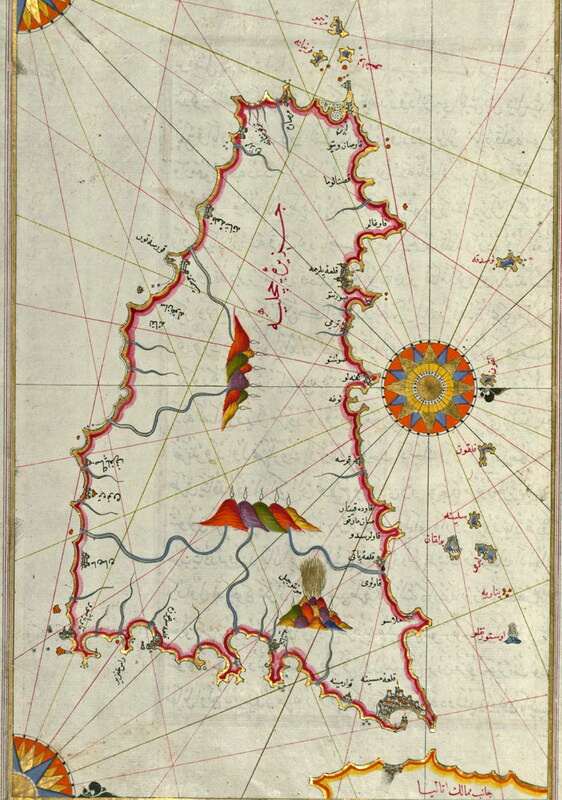 The present manuscript, made mostly in the late 17th century, is based on the later expanded version and has some 240 exquisitely executed maps and portolan charts. They include a world map with the outline of the Americas (folio 41a) and maps of coastlines, with bays, capes, and peninsulas; islands; mountains; and cities of the Mediterranean basin and the Black Sea. The work starts with a description of the coastline of Anatolia and the islands of the Aegean Sea, the Peloponnese peninsula, and the eastern and western coasts of the Adriatic Sea. It then proceeds to describe the western shores of Italy, southern France, Spain, and North Africa; the eastern Mediterranean; western Anatolia; various islands north of Crete; the Sea of Marmara; the Bosporus; and the Black Sea. 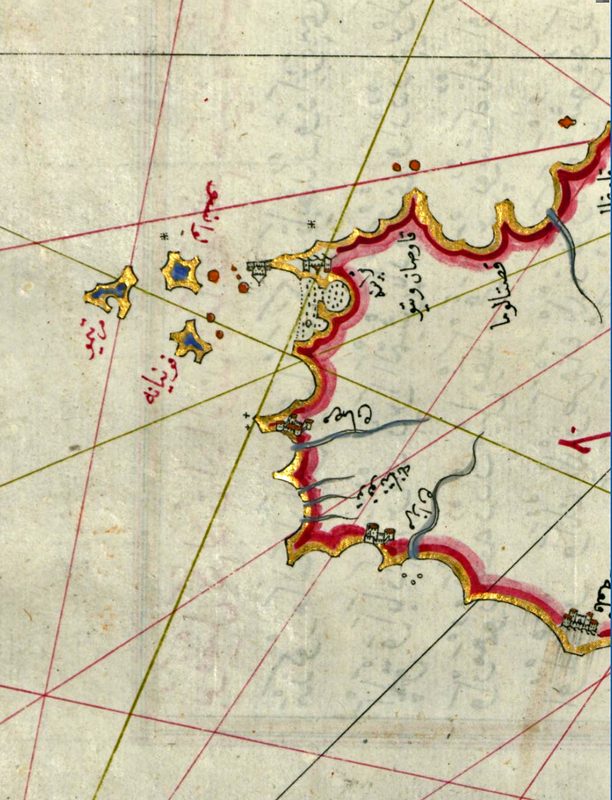 The book ends with a map of the shores of the Caspian Sea, on folio 374a.